Androgynous in sound, style, and mood, Warrior is a battleground set in the unlikely universe of indie pop. This album is Air Waves’ frontwoman Nicole Schneit’s atypical call to action: a simplistic and understated beckoning for strength and resolve. 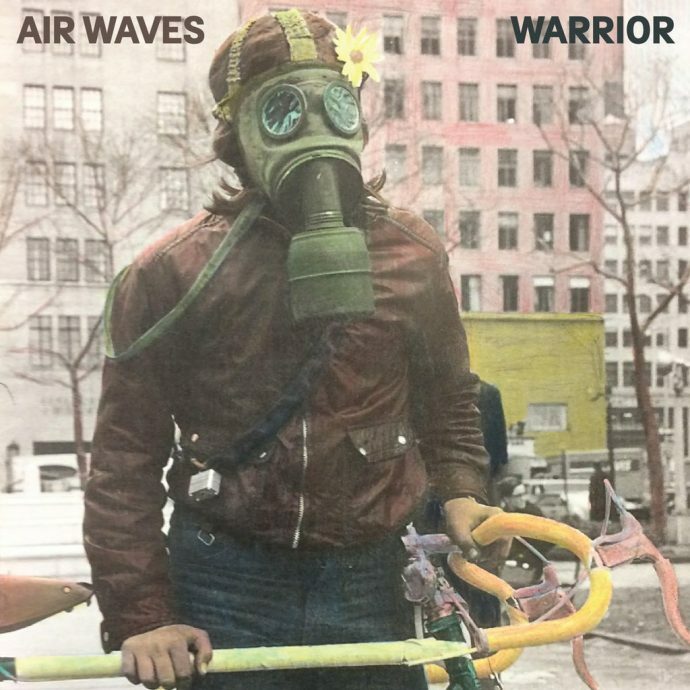 At first listen, Warrior seems like a perfect soundtrack for a coffee shop in Williamsburg, and while there certainly is merit for that hip version of indie pop, this brand of music belongs in the hands of the Midwestern kid whose “alternative lifestyle” isn’t celebrated in Trump country. Warrior is brave in the face of adversity, still standing despite deception, hatred, and neglect. Amidst the angst and melancholy nostalgia of a life that may have never belonged to Schneit in the first place is the backdrop of well-versed musicianship that keeps the head bobbing and foot tapping. The dreamy synths combine fruitfully with the plucked guitar and soft rhythms from percussion and bass. And though there is cohesion in the entire album so brilliantly bookended with the first and last track, each song is as memorable as the last. Warrior stays on-brand and on-message throughout each song, providing instructive marching orders to faithful listeners. The standalone artistry of Air Waves is so brilliantly understated. In the hauntingly cutting song “Thanks”, Schneit describes a troubled relationship of back and forths with a lover who is clearly indignant in their instability. This person is manipulative, joking about needing a warning sign and then suddenly professing love, causing the feeling of entrapment from either end of the spectrum.“Travel over the world / Picking at broken souls” is echoed back in the rhythmic guitar, a tightening of the catastrophic relationship noose. The final line, “I wish the best for you / Thank you for showing me your guitar skill” begs a laugh, but receives a sinking feeling that knocks our guts to the floor. The clarity of Warrior’s theme of melancholic nostalgia is blinding in this moment. Spirited yet cautious, Air Waves have produced a stellar and ardent album filled with just the right amount of justice to suit the name Warrior. Each track is as bold as it comes, falling onto the shoulders of a leader with enough strength to combat the unkempt delusions of nostalgia and comfort. Warrior is thoroughly simplistic, the vocal performances coming through as the centerpiece of an 11 track series of diary pages and ruminating self-discovery.